Director Steven Spielberg takes us back to the scene of Jurassic Park in The Lost World, the blockbuster sequel with even more dinosaurs, more action and more breathtaking visual effects than its record-breaking predecessor. The Lost World remains among the most successful films of all time and features an all-star cast including Jeff Goldblum, Julianne Moore and Pete Postlethwaite. Take home this classic film that will leave you on the edge or your seat ... again! $90.161 million on 3281 screens. Knock me, mock me, pour soup on my head if you must, but dagnabbit, I like The Lost World! 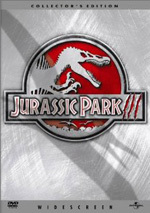 This 1997 sequel to 1993's megahit Jurassic Park has received tremendous criticism since its release for a variety of reasons, and the general consensus has been that it delivered a weak follow-up to a pretty good action flick. However, I disagree, as I find World to offer a generally satisfying experience. Frankly, I think it's largely comparable to the first movie and I've never felt much disappointment in regard to it. We wanted more rampaging dinosaurs who caused havoc and we got it - worked for me! No, I don't think World is a perfect movie, and indeed its flaws open up even wider upon repeated viewings. Quite a few instances of plot holes/lack of logic/sheer stupidity occur. For example, we frequently hear Sarah Harding (Julianne Moore) gripe at the others to make sure they don't interfere with the dinosaur's natural environment; she warns that even a bent blade of grass makes the humans involved in the proceedings and takes them out of their desired roles as observers. With that as background, would someone explain to me why one of the first actions we see her take is to fondle a baby stegosaur? She also traipses through a creek with abandon - might she not mess up that water supply? Poor Moore got saddled with most of the film's incoherent moments, such as the fact that she tells us that the T-rex has the second best sense of smell of any animal in history, she continues to wear a jacket stained with the blood of a baby T-rex. Even an idiot like me would know better to do that - shouldn't she? I also wasn't wild about the film's borderline insulting environmental message. It's so clearly good guys vs. bad guys, with the latter taking the part of the "rapers of the natural world". My least favorite shot must be the one in which our band of protagonists watches these dudes "round up" the dinos. All of the good guys have pained looks on their faces that strongly reminded me of those Seventies anti-pollution ads with the weeping Indian. Despite these and other flaws, I continue to enjoy World because it's simply an entertaining and exciting movie. Does it have much of a plot? Nope, but neither did the first one, and few seemed miffed about that. Actually, the original Park had just as many plot holes, and they were just as gaping, so I never have understood why so many people appear to feel that the sequel marked a significant decline in quality. And give the filmmakers credit - at least World isn't a nearly-literal rehash of the original. It's similar, without question, but it seems darker and more cynical. The first film's humor tended to be cute and child-oriented, with gags like Tim's dinosaur joke or the instance when the brachiosaur sneezed on Lex. In World, however, the gags are more sarcastic and snippy. For example, when Nick Van Owen (Vince Vaughn) calls for Sarah and uses her last name, Ian Malcolm (Jeff Goldblum) pauses and then asks how many Sarahs does he think are on this dino-filled island. It's not fine comedy, but it definitely shows a darker streak than what we witnessed in the first film, and a lot of it works well, largely due to the presence of Goldblum. His unusual style may grate on some, but I usually find Goldblum to provide solid and consistently interesting work, especially when he takes roles that clearly suit him. The oddball scientist here fits him well, and he also makes the jump to a more action-hero mode nicely. Malcolm is the only significant carry-over from Park - Hammond, Lex and Tim also appear, but only in cameos - and he has to carry much more of the load than in the first movie, where he was really a supporting character. Goldblum proves that he's up to the challenge, and he helps make the film a success. Actually, the whole cast is made up of terrific actors. Up and down the line we discover strong talent: Moore, Vaughn, Richard Schiff, Peter Stormare. It’s like Spielberg raided every indie film he could find. Do any provide their best work? Heavens, no. But even half-speed performances from actors like this add strength to a movie like World, and they all become assets. Arliss Howard and Pete Postlethwaite become the best of the bunch. Howard plays greedy, conniving entrepreneur Peter Ludlow and does so with the appropriate levels of sniveling charm and lack of emotion. Usually this kind of character is made into a bullying heavy, but Howard plays him more as a just a money-grubbing white-collar chump, and the portrayal works well. Even better is Postlethwaite as "great white hunter" Roland Tembo. He takes what should be a silly and stereotyped character and somehow makes him full-blooded and even likable. Based on his appearances in films like In the Name of the Father and Dragonheart, I wouldn't imagine Postlethwaite in a role such as this, but he's tremendous; I fully believe him as this tough-guy animal slayer. He's strong, powerful, charismatic and bold, and he's the best acting talent the film has to offer. Of course, no one goes to see a Jurassic Park movie for the human performances, and World doesn't skimp on the dino-delights. If anything, the sequel ups the ante from the first movie because it makes the people much more active participants in the battle against their tormentors. Some have criticized a few of these scenes - especially the one that involves some gymnastics - but I think they’re a lot of fun and added spark to the film. After all, the participants in Park mainly just ran around a lot; it's good to see the stalked take a more active part in their preservation. The special effects to the sequel remain up to the level of the original, and probably improv on them as well. I suspect that eventually we’ll easily see through all of the trickery, but at this point in time, the results remain convincing. Park started a revolution in computer imagery and World carried that baton efficiently. Ultimately, The Lost World doesn't quite live up to the quality of Jurassic Park, but I think it comes much closer than many believe. The sequel lacks the novelty of the original but it takes a slightly different take on the genre and succeeds well in its own right. The Lost World appears in an aspect ratio of approximately 1.85:1 on this Blu-ray Disc. Like the first film, this one was a little spotty but usually satisfying. Sharpness was the least consistent element, especially during the first act. The film’s beach-based prologue looked surprisingly soft; for a few minutes, I thought I’d accidentally plopped a DVD into my player. Matters improved after that, especially once we got more significantly into the film. Some softness still arose, but the majority of the movie exhibited good clarity and definition. Effects shots became the biggest complication, but that was an inevitable outgrowth of the various processes. I noticed no issues with jagged edges or shimmering, and edge haloes remained minor. Source flaws failed to materialize, as the film always looked clean. Colors appeared pleasing. Since the flick stayed jungle-bound much of the time, greens dominated, and they looked appropriately lush and full. Occasional other hues were also satisfying. Blacks were deep and dark, while shadows showed nice clarity. With all those shady forest shots, that was important, so I was happy the low-light situations came across as well as they did. The instances of softness caused me to give the image a “B”, but it was still a pretty nice transfer most of the time. The film’s DTS-HD MA 7.1 soundtrack offers an involving affair that surrounds the viewer with audio at almost all times. Of course, the many action scenes provided the greatest amount of activity, but even quieter moments offered convincing ambiance. Audio always seemed precisely placed within the environment and the sounds moved smoothly between channels for a realistic image. Sound quality seemed equally fine. Although much of it had to be dubbed, the dialogue always seemed natural and crisp, and it blended well with the rest of the track. I noted no problems with intelligibility and thought the speech was perfectly distinct and clear. John Williams' score came across well, especially in the way he used drums; these sounded deep and rich as they pounded their way through the mix. Effects were clean and bold, and they displayed no signs of distortion. The entire track packed a serious punch, and I experienced a high level of solid low-end; the bass featured in this mix seemed taut and powerful. The "round-up" scene was a great one to demonstrate all of the track's strengths, as it combined all of the best parts of the mix in one space. Audio flew about the listener as the vehicles and dinosaurs careen around the screen, and all of the stomping and engines provided ample opportunity to show off the bass response. However, this shouldn't be seen as the film's sole demo spot, as it's filled with killer moments; any number of others - most of which involve the T-rexes - would work just as well. Put simply, The Lost World featured an excellent soundtrack that will put your system to the test. How does this Blu-Ray compare with the original DVD from 2000? Audio demonstrates a bit more smoothness and punch; the old Dolby Digital track still sounds great, but the DTS-HD mix is more dynamic, engulfing piece. Even with the problems I mentioned, the visuals offer a definite step up from the DVD. That release has a mix of print flaws as well as digital artifacts, edge haloes and abundant softness. The Blu-ray doesn’t dazzle, but it looks better in all possible ways. 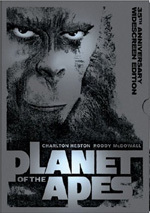 Two featurettes continue a program that started on the Park Blu-ray. These include Return to Jurassic Park: Finding the Lost World (27:40) and Return to Jurassic Park: Something Survived (16:30). Across these, we hear from director Steven Spielberg, executive producer Kathleen Kennedy, dinosaur motion supervisor Randal M. Dutra, production designer Rick Carter, effects supervisor/concept art director/designer/puppeteer Mark “Crash” McCreery, effects supervisor/puppeteer John Rosengrant, special dinosaur effects Michael Lantieri, full motion dinosaurs Dennis Muren, sound designer/re-recording mixer Gary Rydstrom, composer John Williams, and actors Jeff Goldblum, Peter Stormare, Ariana Richards, and Joseph Mazzello. The two pieces look at the development of the flick and sequel-related challenges, aspects of the story and characters, cast and performances, cinematography, dinosaur design and various effects, sets and locations, shooting the film’s ending, music and audio. As was the case with the “Return” programs on the Park Blu-ray, these lack a particularly coherent path and they can be a bit scattershot. It’s also a disappointment that so few of the actors appear here; Park got a much more complete roster. However, both shows are still quite informative and enjoyable. I like the modern day perspectives and find a lot of good material on display here. The two programs add to our understanding of the movie-making processes and deserve your time. Created back in 1997, The Making of The Lost World runs 53 minutes, 14 seconds and features interviews with Spielberg, Goldblum, Carter, Lantieri, Kennedy, Dutra, Williams, author Michael Crichton, screenwriter David Koepp, producers Gerald Molen and Colin Wilson, live action dinosaur creator Stan Winston, director of photography Janusz Kaminski, visual effects producer Ned Gorman, digital model supervisor Paul Giacoppo, lead digital character animators Danny Gordon Taylor and Miguel A. Fuertes, visual effects art director George Hull, associate effects supervisor Rick Schulze, and actors Julianne Moore, Sir Richard Attenborough, Vince Vaughn, and Pete Postlethwait. “Making” looks at the source novel and story/character topics, storyboards and planning, creature creation and various effects, sets and locations, cinematography and visual design, deleted/altered sequences, audio and music. The best part of the show? Watching Goldblum pretend to be rammed by a raptor. Essentially he needs to repeatedly beat himself in the head with a wooden door, and for some sadistic reason, it's terrifically entertaining. I'd like a longer, more in-depth documentary about the movie, but I found this one to be quite satisfying nonetheless. During the documentary, we get quick glimpses of two deleted scenes. These appear in their entirety elsewhere on the DVD. One shows an InGen board meeting headed by Ludlow (3:07), while the second introduces Tembo (4:00). In the documentary we're told that these segments were cut because they were redundant; the same information is effectively conveyed elsewhere in the movie. This is correct, and the Ludlow scene was a painless loss; I was happy to see it but the film doesn't miss it. Tembo's segment is a little more complicated. Yes, the same main point that comes through can be obtained through other areas later in the film, but I rather enjoyed this clip. It demonstrates just what a tough guy Tembo is, and it's pretty interesting. Would the movie be worse off with it back in the film? Nope - you can never get too much Postlethwaite! Three snippets from the “Beyond Jurassic Park” DVD follow. First up is Original Featurette on the Making of the Film. This 13-minute and 17-second program offers the usual combination of movie clips, behind the scenes material, and quick interview tidbits. We hear from Spielberg, Goldblum, Moore, Vaughn, Koepp, Carter, Kaminski, Lantieri, Muren, Hull, Postlethwaite, Gorman, Dutra, paleontologist Jack Horner and actors Sir Richard Attenborough and Vanessa Lee Chester. Whew! That’s a lot of folks for a short program, so don’t expect much depth. In reality, this featurette follows the usual glorified trailer format, and the sound bites don’t tell us a whole lot, though they add some small bits of information. However, a few of the shots from the set are pretty cool, especially the one in which we see Spielberg lead the actors through part of the “hanging from the RV” scene. Overall, this is a perfunctory but enjoyable program. Next comes The Jurassic Park Phenomenon: A Discussion With Michael Crichton. Not surprisingly, this 15-minute and 27-second piece primarily offers information from the author. We also see some movie clips and a few behind the scenes images, but the emphasis remains on his input. It’s a nicely informative and interesting chat that offers some good background and notes. ILM and The Lost World: Before and After the Visual Effects echoes the similar piece offered for Jurassic Park. However, this one is much more extensive. It lasts 20 minutes, 44 seconds and goes with a split-screen presentation; the “before” shots appear on top and the finished product runs on the bottom. This makes the piece even cooler than the earlier one, as we’re more easily able to compare the stages. It’s always a hoot to see the actors responding to nothing, and this is a very fun and valuable addition to the set. Something unusual shows up under The Compie Dance Number: Thank You Steven Spielberg From ILM. Vaguely analogous to the “Thriller” clip on Final Fantasy: The Spirits Within, this one-minute, 38-second clip shows the little stars of Lost World as they tap-dance. It’s odd and cute and worth a look. If you like stillframe materials, you'll enjoy the remainder of the disc, as most of the rest of the supplements come in that format. In Illustrations and Conceptual Drawing, we get 121 frames worth of artwork created to design the look of the film. We find some nice images there, and I found this section quite enjoyable. The pieces vary in complexity, but many of them are quite detailed and lavish - I'd love to own prints of a few. Storyboards abound, as that section presents drawings for 12 different scenes. Each contains between six and 78 images for a total of 418 frames. Frankly, I'm not much of a fan of storyboards, but a few of these are good just because they differ from the finished product. The last two presented scenes - "Omitted Air Attack" and "The Original Ending" - are easily the most interesting since they appeared nowhere in the final film. Note that both feature a character almost unseen in World: the pteradon. We view this winged beastie in the very last shot of the film, but it makes no other appearances, although these deleted sequences show that Pterry was meant to play a bigger role. The briefest section on the DVD, Models offers only 11 frames of photos. These show the details of the Site B compound. The World of Jurassic Park provides a much more extensive experience through its 122 images. It presents a mini-overview of the effects production, as it starts with shots of dinosaur drawings and maquettes and moves through the building of the Stan Winston puppets. We also witness a few pictures of some of the movie's vehicles. It's a fun section for fans of effects as it gives us a nice picture of all the work that went into these critters. The Magic of Industrial Light and Magic takes a similar approach during its 127 elements, except it focuses on the folks at ILM. As such, we see some different models but we also witness some short demonstrations of computer techniques plus additional art, such as a different form of storyboard. It's another interesting section for folks who like to get as much background information about filmmaking as possible. In Production Photographs, we find 95 stills from the film's set. These include "behind the scenes" snaps of Spielberg and other filmmakers and cast plus publicity shots that come from the movie itself. The section provides some fun glimpses at the set. Lots of supplemental sections provide examples of unused advertising concepts. Few do it in as much detail as this DVD. Posters And Toys includes 167 frames of material, but a whopping 160 of those are devoted to the promotional pieces. Boy, did they go through a lot of ideas! Please note that you won't find 160 distinct and different artwork ideas; many of them are very similar. However, I love the fact that we get all of them and there's so much detail to be found. Too bad that didn't extend to the "toys" part of this area; seven frames doesn't come close to covering the jillions of kiddie products that have appeared for both movies. The Blu-ray finishes with the film’s theatrical trailer. I remain disappointed that the movie’s DTS-only teaser has never seen the light of day on DVD or Blu-ray. Perhaps Universal hasn’t included it because it used special lighting effects in the theater, but I still think it’d be awesome to have. It provided some of the coolest surround sound I’ve heard and would love to be able to experience it again. Slam The Lost World if you like, and call me an idiot; you won't be the first or the last. Nonetheless, I liked the film when I first saw it in 1997 and I continue to enjoy it. The movie is flawed but still a lot of fun, and it works well as pure action and excitement. The Blu-ray provides good picture, awesome audio and a nice collection of supplements. This becomes a quality release for an entertaining flick. 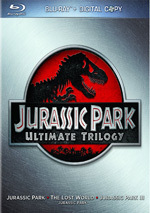 Note that as of October 2011, you can purchase The Lost World solely as part of this “Ultimate Trilogy” set that also includes the 1993 original film and the 2001 sequel. Will the movie come out individually at some point? Probably, but it might take a while; a year after the release of the Back to the Future trilogy on Blu-ray, all of those movies remain bound to the boxed set. Given that precedence, I’d be surprised to see Lost World sold on its own before 2013.